I had just logged on and was somewhat puzzled by the question posted by our European time zone FC. Until a big, booming voice I did not recognize piped up to explain that something was happening in one of the districts of the local planet. I was quickly brought up to speed. Kamela, a system we have been pushing for several days, was vulnerable. 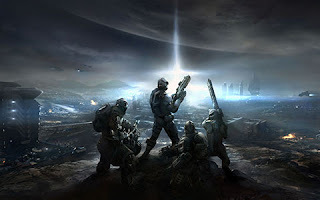 EVE players had gotten it very contested, and several wins by Dust 514 Minmatar pilots on the ground had reduced the number of VP needed to take it, ultimately shoving it into a vulnerable state. The catch was that the I-HUB was bugged--not allowing us to target it, and flip the system. EVE pilots were attempting to run more plexes, hoping that would ‘nudge’ it so to speak, and get it to unlock for us. But, the plan was not working. It was quickly turning from late night to early morning for the Euros, so the fleet was handed off to the US TZ –primarily Late Night Alliance. And thus began one of the bloodiest nights in the Amarr-Minmatar conflict. The I-HUB remained bugged for several hours. At one point, a member of CCP was spotted in local, probably trying to get more information on what the issue was. Unfortunately, as time progressed, the Dust 514 Minmatar started to lose ground. Oddly, late into the evening, a cheer rose up when the system jumped from vulnerable to 96% contested. The Minmatar were hoping that we could now plex it back the rest of the way, and that the I-HUB would potentially no longer be bugged. But, it was going to be easier said than done. The Amarr were bringing more and more reinforcements, and several primary hostile USTZ groups had to be contended with. Thankfully, we had some allies of our own. We noticed another Minmatar fleet running around local and quickly started to coordinate with them. I wish I could tell you about each engagement, but there were so many they all blur together. We won some, and we lost some. We clashed with a large cruiser gang, taking many of them down before the order came to bail. We obliterated a frigate and destroyer gang, and small engagements started cropping up on the outside of plex gates. At one point, the Amarr’s station was camped. A small contingent even jumped into nearby highsec, tearing through an Amarr Typhoon that was sitting on the gate. 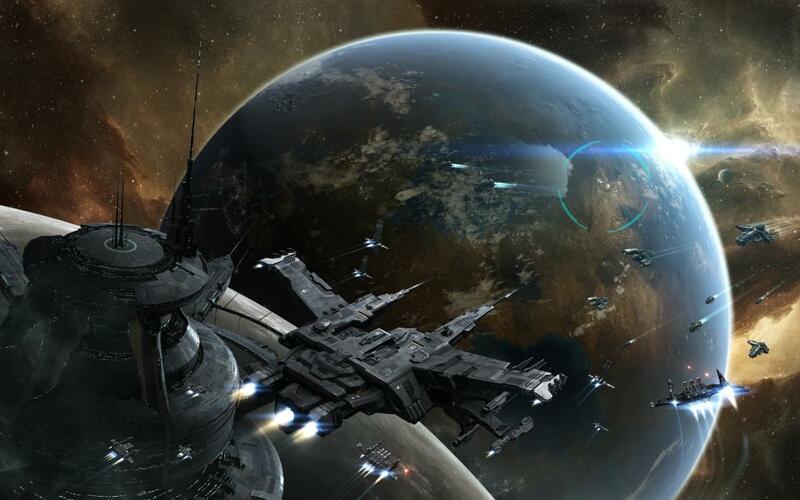 Late into the evening, a glance at Dotlan maps showed Kamela as the most dangerous system in EVE –with well over 500 kills within a three hour period. We did have periods where things were quieter –as we waited for more plexes to spawn and whatnot. During these times we chatted with a Dust 514 member who was hanging out in our Teamspeak channel. Apparently, he had been hired by a large Dust corporation to essentially serve as a consultant, or diplomat of sorts to coordinate with EVE players. Members of his Dust corporation were eager to coordinate in such a way that would provide meaningful for their EVE militia counterparts. He seemed very interested in our end of things, and admitted he was amused by how we were with each other on coms. Apparently, on infantry coms, they were all business. Our jovial chatter, teasing and trolling each other, mixed with our ‘battle coms’ and intense target calling and etc. seemed to amuse him somewhat. One Late Nighter explained that we had been flying with each other for years…so was not surprised we sounded like a dysfunctional family of sorts. It will be interesting to see how things progress going forward…especially with the Dust/Eve connection. The relationships, community, and politics of EVE make it a very complicated place, and I think what I witnessed between EVE and Dust 514 players coordinating last night was merely the beginning of a whole new level of gameplay. That's pretty interesting about the comms, but I can see it from his perspective. When I was big into Battlefield 2142, which had a similar play style to it as dust, we were pretty much all business all the time. Sure we joked and stuff, but there was always the hard objective that needed to be completed so comms were kept clear at all times. Us pilots don't have engagements that are limited by a hard cap like destroying an MCC. For the mercs, the sooner the match ends the sooner the payout happens. Where we roam the zones looking for goodfites, they wait for the next match in their CQ (ugh). As a member of that other Minmatar fleet, I've gotta say that it was a blast flying with you guys. The battles in Kamela were the most exciting couple hours of my short eve career. I just wish I could've helped out when it shipped back up to cruisers. Next time. It was definitely cool hearing the dustie on comms. I think he got whiplash from how quickly things could get serious. My concern is that it sounds like their matchmaking system makes it hard for them to concentrate on specific systems. As far as I know, they need to keep refreshing until a contract randomly pops up for the system they want. As far as I know, EVE players can't transfer ISK to Dust players.